Evaluating the switch to the airlines? Navigating your options? Now is the best time for rotor pilots to break into the airline world. Several Regional Airlines are offering their version of the Rotor Transition Program to assist in your transition. Given the extreme importance of choosing the right starting gate, how are you selecting the airline with the package of benefits, compensation, and program requirements that best fits your needs? 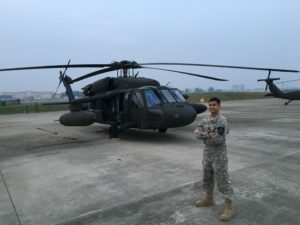 We sat down with former UH-60L pilot and now CommutAir First Officer, Christopher Golab, for tips on how to pick the best rotor program and an inside look at CommutAir’s Rotor Transition Program! Chris, tell us a little about your background? How did you get into aviation and what was your role in the military? When I was a young kid, I used to observe large airliners flying over our house. This always fascinated me, and since then I always dreamt of flying. My parents saw this and sent me to Air Link International Aviation College in the Philippines where I learned to fly and earned my B.S. degree in Aviation. After graduating, I became a flight instructor and realized I wanted to follow my dad’s footsteps in the U.S. Army. I commissioned through Officer Candidate School (OCS) and immediately gained combat experience in Afghanistan as a UH-60L helicopter pilot and Platoon Leader. Since then, I have served in Hawaii and Korea as an Air Assault, MEDEVAC, and VIP helicopter pilot. How did you hear about CommutAir’s Rotor Transition Program (RTP)? I heard about CommutAir’s RTP by researching the company’s website and via the Rotor to Airline Group (RTAG). 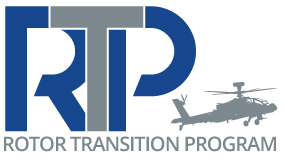 RTAG is a great source for rotor pilots to learn from those who are currently in or have completed a transition program. What attracted you to CommutAir? Choice of domicile and fleet growth were huge factors in my decision. I want to be in the Washington DC area, and CommutAir is a growing airline which will allow me to quickly hold a line at Washington Dulles (IAD) and transition to the left seat. This quality of life balance, between my job as an airline pilot and family events, is important to me. Also, CommutAir’s projected growth will help me obtain the experience and time needed to quickly get to the right seat at United Airlines via the United Career Path Program (CPP). And the CommutAir RTP – vs. other airline offerings? I found it to be the best. Don’t take my word for it – do your research and read the fine print for all airlines. CommutAir’s recruiters were very helpful – they discussed ways to apply VA benefits towards the program and that I would receive any unused RTP training funds prior to joining CommutAir’s training. One of the advantages of CommutAir’s RTP is that pilots can train at home at their local flight school/flying club. Can you expand on the convenience of being able to train at home? I cannot stress the convenience of being able to train at home and being with my family each day. The CommutAir RTP is a family-and pilot-friendly program. The ability to train at home and balance my training along with my family’s needs gives a strong sense of encouragement to succeed at every stage of training. The RTP has given me time to focus on training while being a husband and father. How has the RTP process and your fixed wing training gone so far? My fixed wing training has gone smoothly. The RTP paperwork was easily done online. 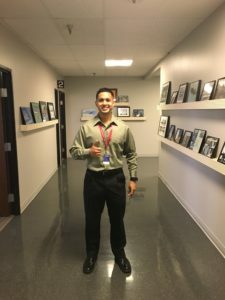 I trained at Navy Annapolis Flight Center where I achieved my Commercial Multi-Engine certificate and was able to finish my program in a few weeks – including some delays for weather. What advice would you offer a pilot planning to transition to the airlines or for those who hope to be in your shoes? If your goal is to fly for a legacy- international carrier, find a Regional that offers the fastest path to get there. Find a program that allows you to balance flying and family-life as much as possible by training at home, which also saves on total training cost. If you want both, look at CommutAir. The ability to train at home and achieve your ratings at the same time is truly invaluable. They offer a very flexible training program at any Part 61 or Part 141 school. CommutAir’s RTP is, by far, the best option for those who work full-time and need a flight schedule that fits into their daily lives. Start the RTP, get your certifications, build your hours, and move on to United Airlines. What are you looking forward to the most when flying for CommutAir? I look forward to embracing the family-like culture and becoming an instructor shortly after I upgrade to captain. My passion is teaching, and I would love to give back to our growing pilot group. Instruction time at CommutAir also counts towards the CPP hour requirements which get you in the right seat even faster! The CommutAir RTP offers rotor pilots an outstanding opportunity to break into the fixed-wing world and take advantage of CommutAir’s tripling fleet-growth and guaranteed captain pay. The growth allows pilots to quickly build time, diversify their resume, and fly for United Airlines. As CommutAir’s first RTP program pilot, I simply wanted to share my thoughts on the positive experience. The program is as advertised and I would encourage anyone looking to make the transition to reach out to CommutAir’s recruiting team and learn more about their RTP! Want to follow in Chris’ footsteps or have additional questions on flying for CommutAir and United? Email pilotrecruiting@commutair.com.